We continue our week of interesting items on postal prohibition lists across the world with China today. There are some rather unusual items present on China’s list of prohibited items, including items you might not expect to be too much of an issue. As ever, it’s important you’re aware of what you can and can’t send to any country as you risk losing the item to customs. If you’ve got someone you know in China a smart looking wrist-watch, think twice before posting it to him/her. Watches are on China’s prohibited list so keep this in mind when sending a sold item or gift to China. There are plenty of other electronic devices that can’t be sent either including cameras, sewing machines, televisions, radios and much more. Electronics are commonplace on many public shopping sites such as eBay, so make sure your item being sent to China is not on their prohibition list. Finally, don’t try and send anything that could potentially harm the cultural, political or economical damage to China. This includes any kind of document, film or photograph so choose what you ship carefully. 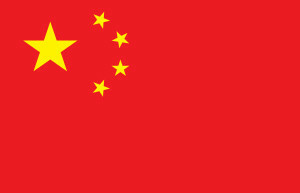 If you’re interested in sending a parcel to China but want to learn more about what can’t be sent there, check out our prohibited items section for China here. As well as the Chinese New Year or the Lunar New Year Festival having its own original set of postage stamps, nowadays you can even personally design your own stamps on various postage sites, and the creativity is endless. Personalising a custom stamp on a parcel to China or elsewhere in the world could be your way of marking your business, or a cute way of making your envelope seem a little more personal, when sending gifts to a relative. If you are an emerging new business, a personalised postage stamp would be an excellent way to establish yourself as a reliable seller. Modern day technologies allow customisation on a variety of levels, and postage stamps are just one of the many examples of these. Because of modern printing technologies, there are ways of customising everything from key chains to mugs to t-shirts, and giving a friend or relative a customised gift, no matter how small, makes a great, personal gift that they can cherish. For all your delivery needs between the UK and international destinations, contact RAND Logistics today, or fill in our Quick Quote form for an instant quotation. It is simple and easy! We’ve now reached the halfway point of our week of famous birthdays, and we hope that this is inspiring you to think about sending gifts to your friends and family who live overseas in the near future. We all love receiving birthday gifts, and with RAND you can expect fantastic rates on global parcel delivery and an extremely high level of service which will be much appreciated by the grateful recipient on their big day. Firstly, Israeli rapper and producer Subliminal celebrates his 44th birthday today, and seemingly this is a very musical day for birthdays as we also send our best wishes to American jazz drummer Ari Hoenig, who hits the big 4-0 today, along with rockers Shom-Rock and T-Haxx, both of whom will be turning 41. The acting world also sees some big names celebrating birthdays today, including Whoopi Goldberg who was born on 13th November 1955 and Indian actress Juhi Chawla. Or, if you prefer to think of yourself as sharing a birthday with a royal, King Edward III of England was born on 1312, or for an important name in Chinese history, this was also the birthday of Emperor Jiaqing. Rememeber to use RAND’s parcel checker for the best rates for international parcel delivery! Following on from yesterday’s post about the things you can’t send to Afghanistan, today we are replicating this with a list of some of the more unusual things you won’t be allowed to send to China. Some of the items China don’t allow are very sensible. As with many other countries, you will not be allowed to send any meat products to China, as if these are contaminated they could affect the native livestock supplies which could be catastrophic. However, once again, there are a few things you might not expect to be a problem that are on their prohibited items list. Used clothing and bedding are important things to note for eBay sellers. If you’re selling your beautiful designer coat but it’s been used, remember not to send it to China. Also, you may not send any material which might do harm to China on a political, economic or any other level, whether this is a book, a magazine, a video tape, a CD or even photo negatives, so check everything thoroughly before you send it. Sewing machines are another unusual prohibited item, along with other basic machinery and electronics such as radio sets, wrist watches and tape records, so steer clear of sending anything along these lines. Thinking of Keeping Touch with Students in China? China operates a lot of great programmes for students at its fantastic universities, and many British students may choose to spend their year abroad studying in China. If this is the case, it is completely normal to want to let them know you’re thinking of them. If you’re planning on sending them a parcel, why not do it with RAND? Our courier service will process your parcel efficiently and we can be relied upon to make sure your parcel makes it to China in great condition and as quickly as possible, helping you stay connected to your student son or daughter from overseas.